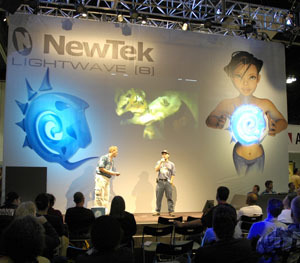 Three years ago, Alias made an aggressive move by slashing the price of Maya Complete to $1995. This caused ripple effects through the industry with other price reductions. 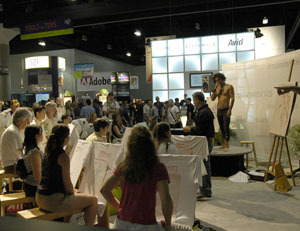 This Year, Softimage has made a similar plunge, and cut the price of XSI Foundation to only $495. XSI Foundation is a fairly complete package (see feature comparison chart here), although there is currently no fur or hair plug-in available for it, it otherwise seems like a full system ready for professional production work in modeling, animation, effects, and rendering. This is by far the lowest price for a complete high-end application such as this, and they are clearly trying to expand the share of new adopters by including a series of training DVD’s for free along with the product when it is ordered on-line. The key to a brand’s dominance is not just winning “market share” but the more critical “user share” – the share of students, artists, freelancers, and other professionals who are comfortable using a particular brand of software. In these days of tight deadlines, limited in-house training, and companies taking advantage of the large pool of already-experienced professionals, any move that can get more artists using a software package can eventually help the software company make more sales to studios. By this metric, the free trial versions, student license programs, and the low-cost base packages can be considered the most important parts of a company’s product line. It’s unclear how Alias will respond to this move, but thanks to being taught in most art schools and used at so many studios, Maya already has an enviable “user share,” and seems dedicated to get as many people as possible started with their software. In fact, Alias has just announced that its customer support options will include an intermediate level “Silver” support plan, designed specifically for the needs and budgets of students and independent artists. No matter how you slice it, a market in which people pay less money will support fewer software developers. Luckily, most of the culling of companies recently seems to be happening through mergers and acquisitions, as opposed to having many companies go out of business. Alias (already the product of three merged animation software companies: Alias Research, Wavefront, and TDI) announced this week that it is now acquiring Kaydara, maker of the MotionBuilder animation software. 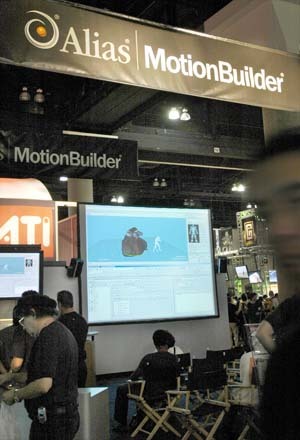 Under Alias ownership they will continue to sell and support Kaydara’s MotionBuilder and its cross-platform FBX file format to customers using all other brands of software. Hopefully, some of the innovation Kaydara brings to the areas of rigging, character animation, and motion editing will be added to Maya as well. It’s easy to predict more consolidation over the next few years, perhaps involving more of the big players in the software market.